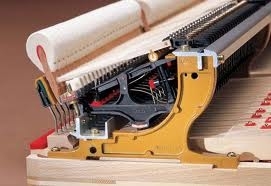 The keyboard action from any piano is a very intricate mechanism, however the action from a grand piano is especially so. 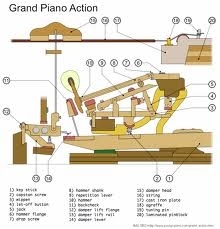 This diagram of a grand piano action illustrates what happens when you press (play) a key. 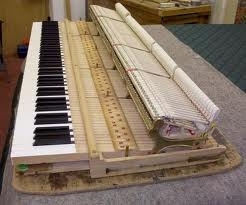 These photos are of a grand action removed from the piano. These charts illustrate the parts involved with one key. 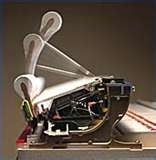 This is a slow motion photo demonstrating the movement of a note.